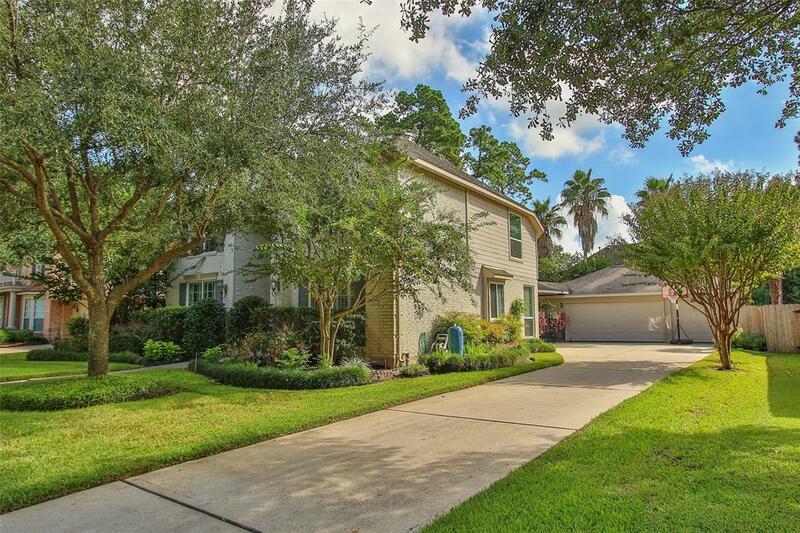 Gorgeous David Weekly home with excellent curb appeal & bright open floor plan situated on a beautiful wooded & landscaped over-sized lot with 3 CAR DETACHED GARAGE waiting for you! 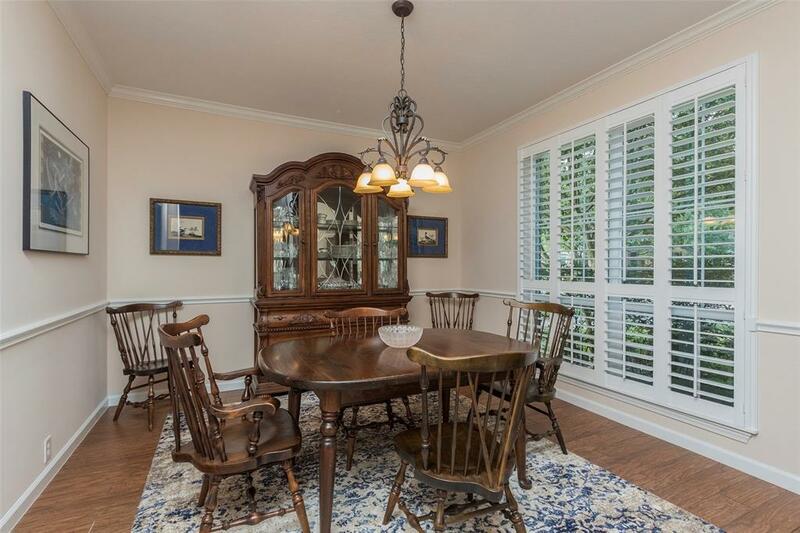 Formal living & dining both have plantation shutters, hardwood look tile floors downstairs! 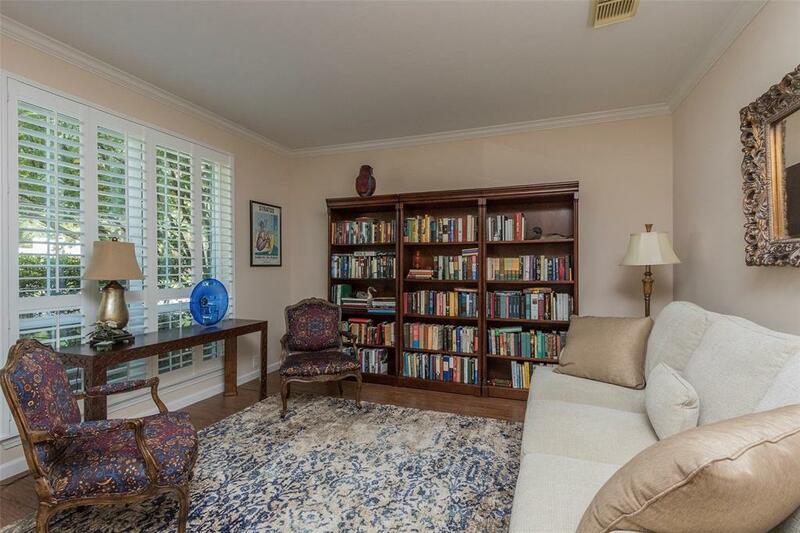 Dramatic 2 story den with open stairway & wall of 2 story bay windows overlooking the backyard! Fabulous island kitchen with Granite counters & breakfast bar to the den! Private king-sized master suite down with garden bath, huge closets! Study or flex room downstairs with fireplace! 3 over-sized bedrooms up, 2 full baths & gameroom! Pretty backyard patio with room for kids & pets and future pool! 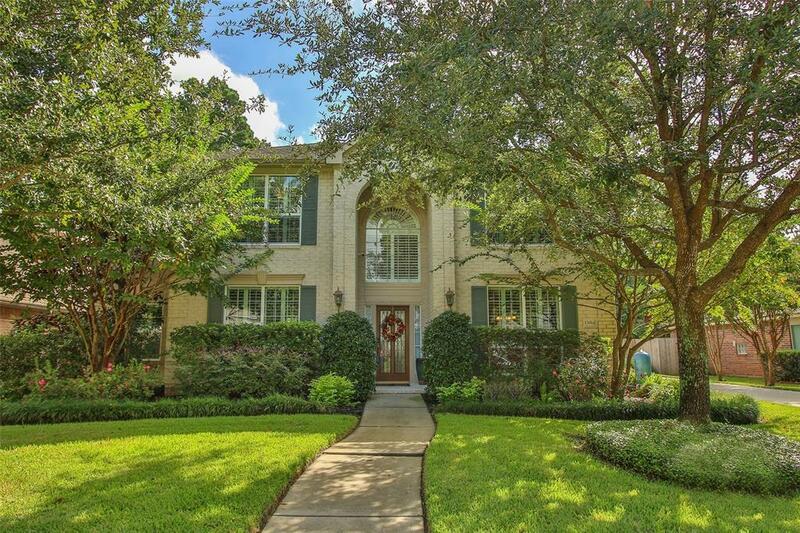 Convenient location, great Cy-Fair schools & LOW TAXES!